I’d like to point everyone to my friend Jen’s absolutely delicious blog Food Orleans. Reading about her culinary adventures across the Crescent City and salivating over the photographic record reminds this fellow just what it means to miss New Orleans. In pursuit of at-home sustainability, Jen recently asked me to share my thoughts on backyard composting and the lessons I’ve learned from the Greyfield Garden. I hope I’m not the “thoughtful composter” of Jen’s post title. 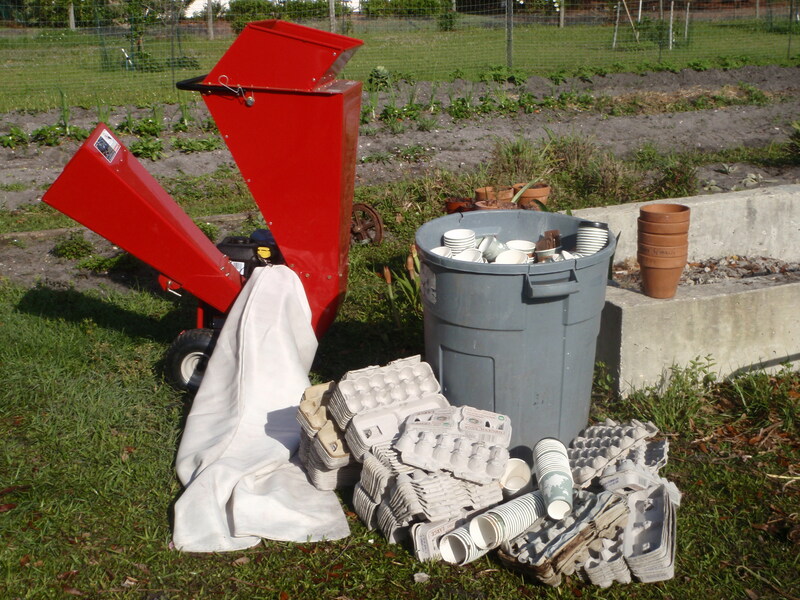 I wish I could put more thought and energy into our compost program here on the island. Without a doubt, it’s the easiest way to address our fertility issues. But our extreme environment doesn’t make achieving a rich humus-like product easy, especially in the summer months. I’ve heard the garden on Little St. Simon’s does an excellent job in this respect, and I plan to study their system and bring it back to Greyfield. To be honest, I just don’t feel that we’re composting as successfully as we should be. Regardless, Jen is far too generous with her praise. I’m not half as articulate as I wish. And, honestly, I could sit down and talk about Greyfield’s compost or any other aspect of the garden for days. I am a Greyfield Garden nerd, proudly. Get ready. With a little more time and determination (and a new camera), I hope that means a lot more blogging in the near future. P.S. That’s super-Wwoofer Wynne in the compost pit. More on Wynne and the other pea in her pod, Jake, to come soon. Lately I have been thinking more about how thankful I am about what I have and the things around me and I wanted to share a photo that I took on the way to work in the morning not long ago. 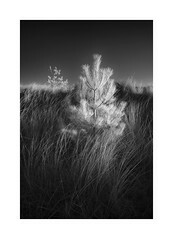 Cumberland Island really is a place of beauty and the serenity that can be found here is almost unbelievable at times. Wherever you are be thankful for what you have and take a minute to realize how special this planet is. Horses on the way to the garden in the morning. 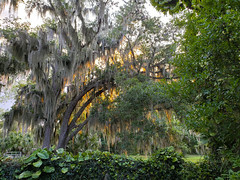 Summer is in full swing and here in the low country the humidity is as heavy as a truck load of compost. We are still experiencing a bit of a dry spell unfortunately; before too long the humidity will fatten up the clouds and they will start dropping on us every afternoon. Plants are amazing on many levels but the ability to store water and produce a fruit made mostly of water is one thing that makes me more aware of the incredible abilities of mother nature. 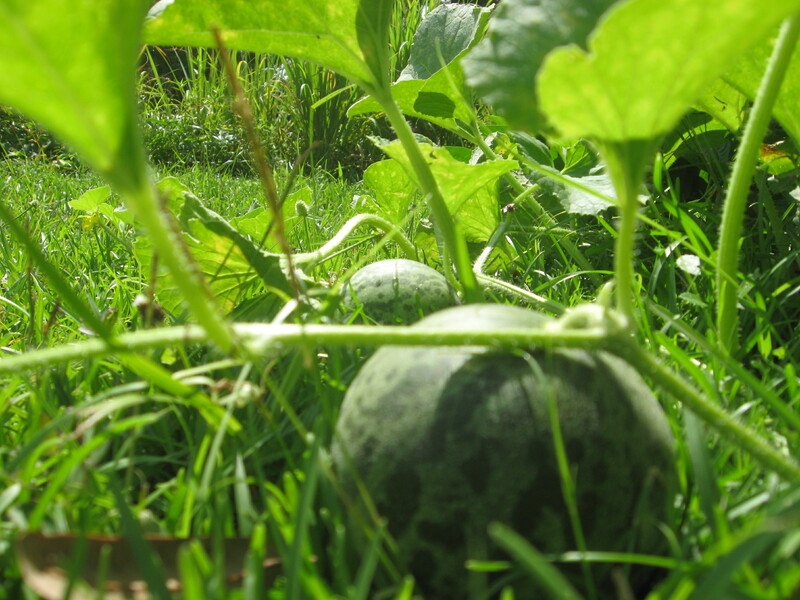 For example, our melons and cucumbers are looking great right now and we are not watering all that much. Our soil has been developing over the past year and it has gained a good bit of organic matter which enables it to hold water as well as other nutrients that it may not have been able to last year. 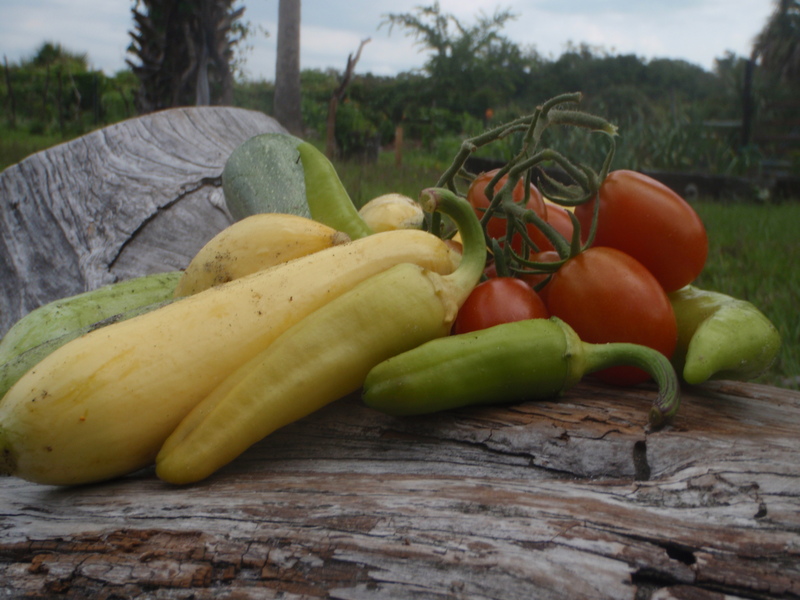 We are harvesting several varieties of tomatoes, peppers, beans and cucumbers currently. Our melons are looking tip-top (let’s hope those raccoons don’t get them before I do), the herbs are strong, our flowers are busy with bees and the okra is about to start blowing up. 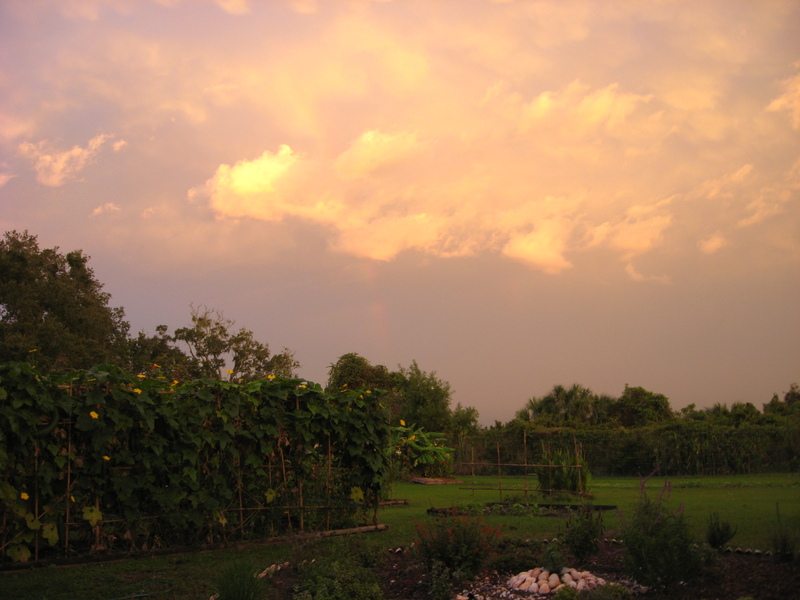 I have had several conversations lately about organic farming practices with guests in the garden and would like to share some thoughts. 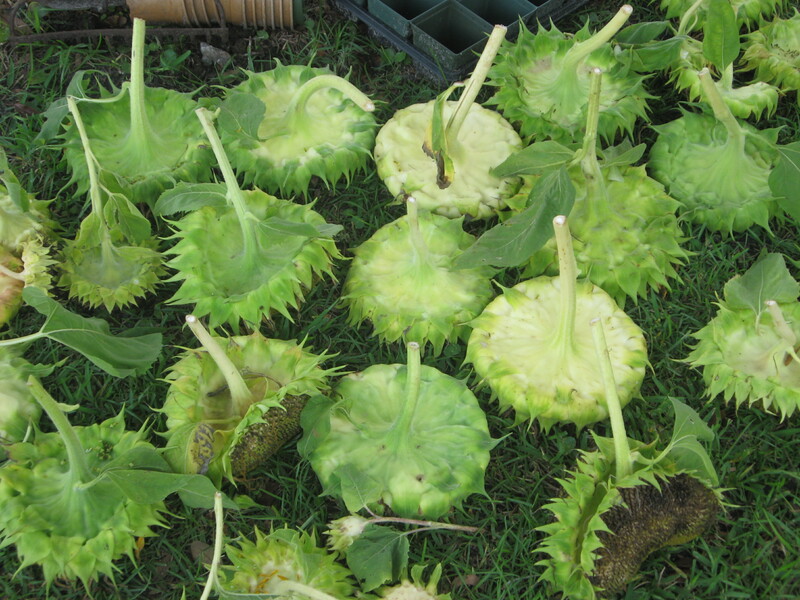 A guest asked me about a problem with his squash plants and described what to me sounded like vine borers… I took him over to one of my plants that had fallen to these pesky creatures to make sure this is what he was describing. Sure enough, the borers were eating his squash. He asked me what I do to deal with this problem. 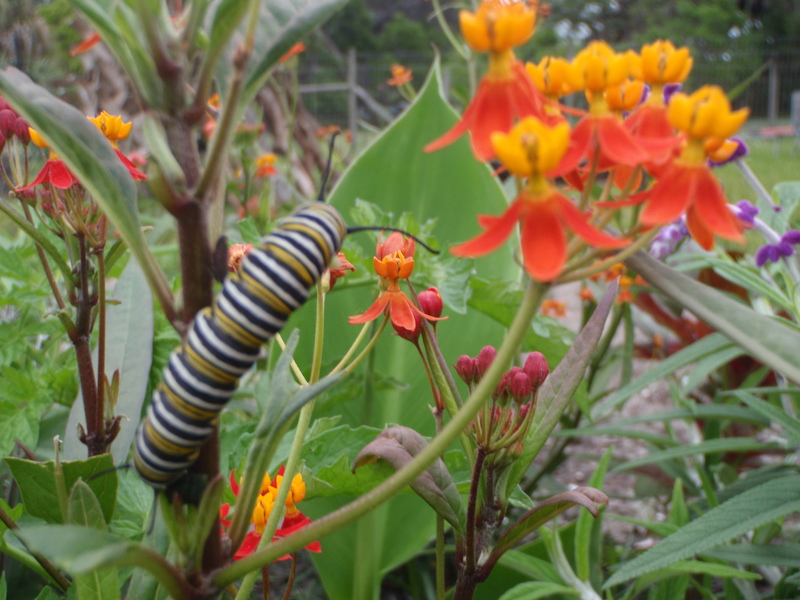 I said that I try to keep an eye on the plants for signs of the pests and pluck them out when I do see them; I told him I had tried using diatomaceous earth when I ran into a serious infestation. He asked if sevendust would work…. I just finished reading Silent Spring and proceeded to explain that sevendust destroys all life in the soil. We had a brief discussion about the use of chemicals and that even though they do get rid of certain pests they are often misused and their effects are felt in areas outside of their application. This discussion often arises in the garden and I feel that it is my duty to inform folks about the harmful effects of chemicals. Perhaps I am stating facts that are obvious when I tell someone that the chemical they are using is harmful, but maybe they did not realize how harmful. 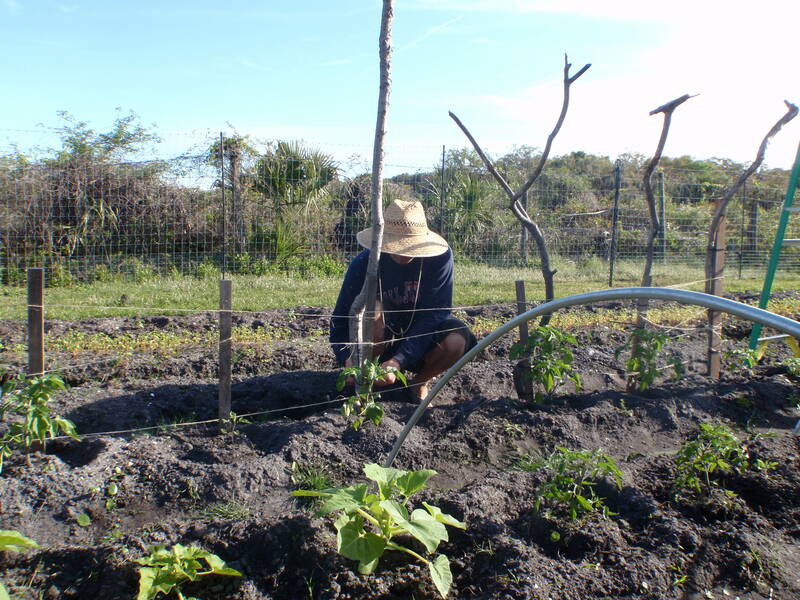 I always applaud folks that grow their own food and I think that the ability to work the land is a life skill that more people need to practice. I do my best to persuade individuals that use chemicals to take the next step in growing healthy food for themselves and their family by explaining organic farming practices and the benefits of building a healthy and active soil. 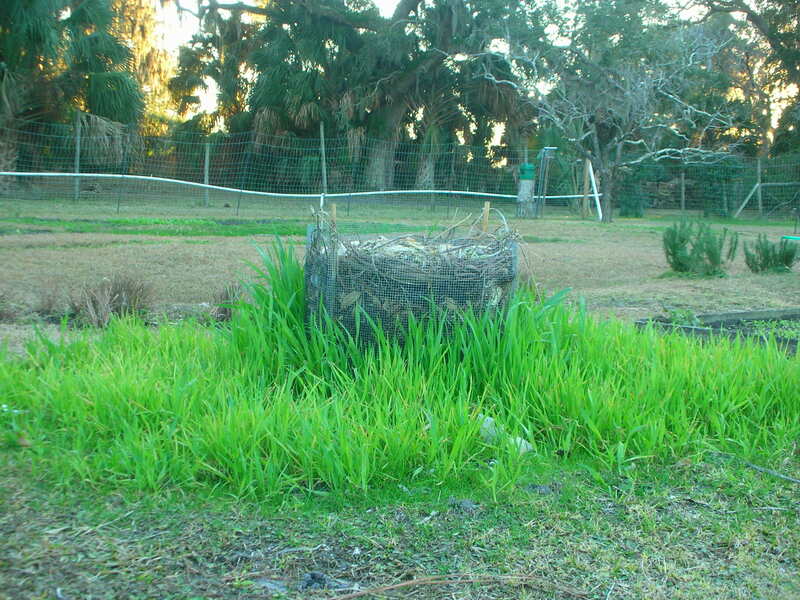 The above photo is an example of one way that I build organic matter to be added to our garden. 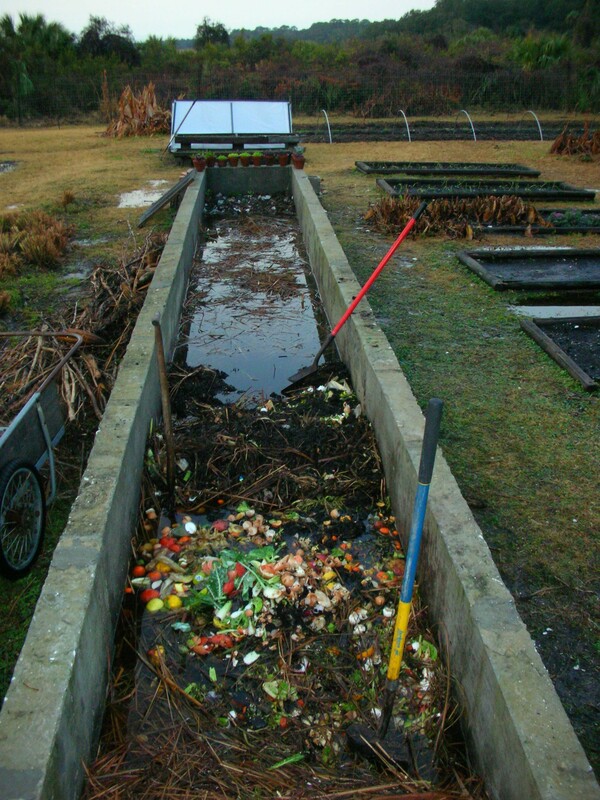 composting in place is a great way to feed plants during their growth while simultaneously allowing the materials inside the barrel to decompose and make beautiful soil that will be spread after the removal of the preceeding crop. This method is also less laborious than turning a pile or spinning a barrel and it is perfect for raised bed gardeners. The barrel can be placed in the middle of a bed leaving room around it for planting and once the crop is finished the compost is already in place and ready to spread. I started saying “Feed the food that feeds you” and began to realize that feeding food is actually something that is very important and often overlooked. 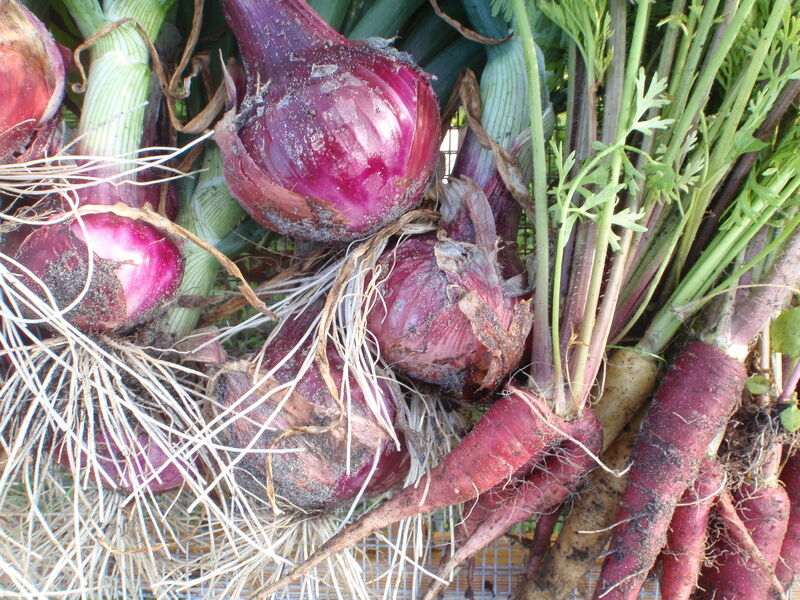 What we put into the soil is what when get in the form of our favorite fruits and vegetables. The importance of caring for and properly treating our soils is something that is gaining attention on some levels thanks to the hipness of the organic food push but it should not be treated as a trend. Soil is very real and we only have so much topsoil to work with. Please help everyone by doing your part to compost, buy from your farmers’ market, and start pushing for this type of education in our schools. Our children are the future and if we can get them excited and educated about healthy food and healthy soils then we are headed in the right direction. This bee was a little stumbly, I think he had too much to drink. 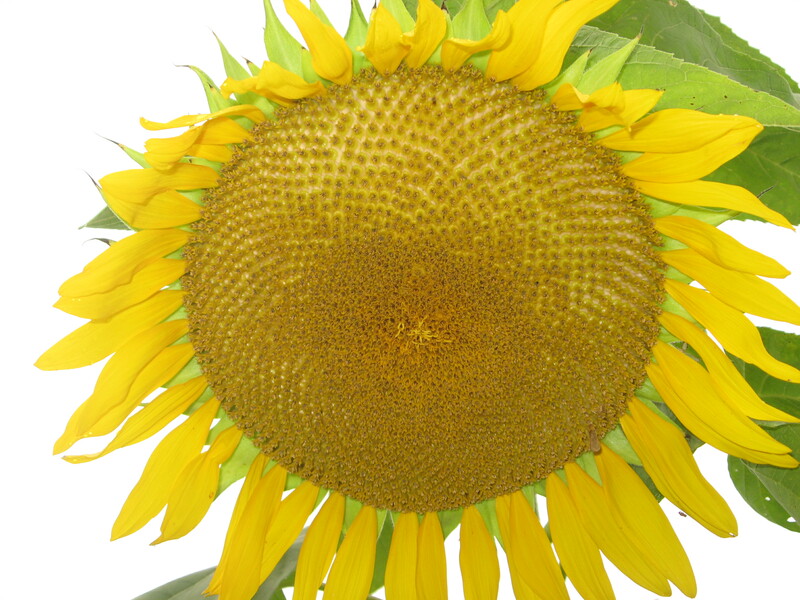 I have posted these photos of bees because I think they are pretty cool pictures and because I began participating in something called the Great Sunflower Project. A guest brought to my attention that some research is being compiled about wild bee populations and that the scientists needed help across the country to compile data. I checked out the website and signed up, you should do the same! 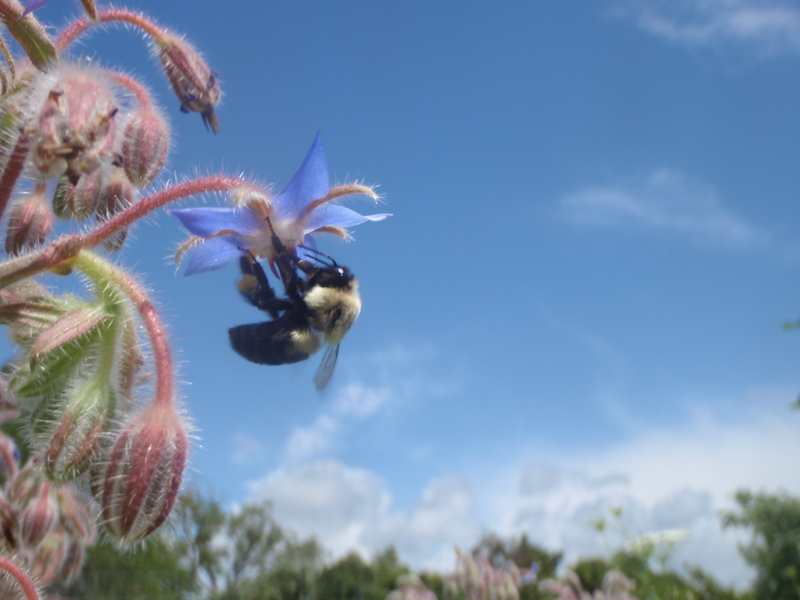 Borage flower and a busy bee. Remember, “Feed the food that feeds you” and do your part to sustain the earth’s topsoil and the health of we creatures that inhabit it. Until next time, take it easy (on the planet)! Hello and all the best to everyone reading. We have gotten through six weeks or so with very little rain and now the heat is building up. The garden is a little parched but still very pleasant. Swarms of beneficial insects accompanied by a medley of annoying pests have resurfaced with the change in season. We are constantly keeping our eyes peeled for hornworms, squash borers, and aphids at this point. Insect pests are lower on the bad guy list than armadillos in our setting. If anyone knows a good way to keep these destructive mini tanks out of the garden please share your secrets! Greyfield Inn has been pretty busy which means we have been giving lots of garden tours. I always enjoy the enthusiasm of guests entering the garden bursting with questions about their personal garden, organic food, and sustainable lifestyles. 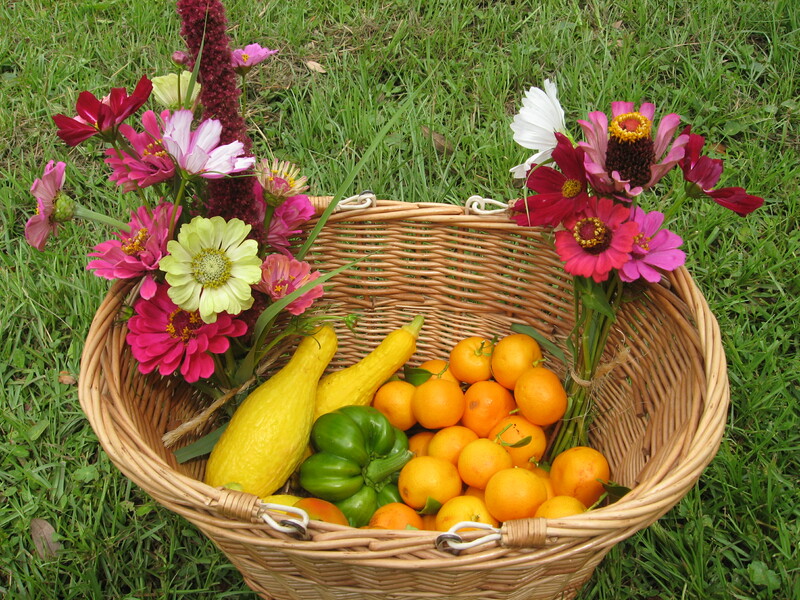 The goal of my garden tour is to allow guests an opportunity to connect with the food they will be consuming as well as simultaneously exhibiting our efforts to provide a unique culinary experience. The way that food brings people together is often overlooked and taken for granted, my thoughts on the subject are simple. Stay in touch with your food. Buy from the man or woman that grew your food at your local farmer’s market. Grow what you can for yourself, it tastes better trust me! Feed the food that feeds you. Compost. Think about the distance your food has traveled to make it to your plate. Take time to share a meal with your family and better yet get your family involved in the growing, planning, and purchasing of your foods. The colors are similarly beautiful. View from the south beds looking north. I have taken some time to visit a few local farms over the past weeks and spent some time with some incredible people. Mr. Ben Walter of Hermitage Farms is a good friend of mine with an insatiable appetite for knowledge. I describe Ben as an intellectual that is obsessed with soil health and sustainability. He is running a five acre family farm equipped with a pecan orchard, a flock of chickens, several vegetable plots, shitake logs, and a lovable border collie named Jada. Ben is located in DeLand, FL so if you are in the area look him up! 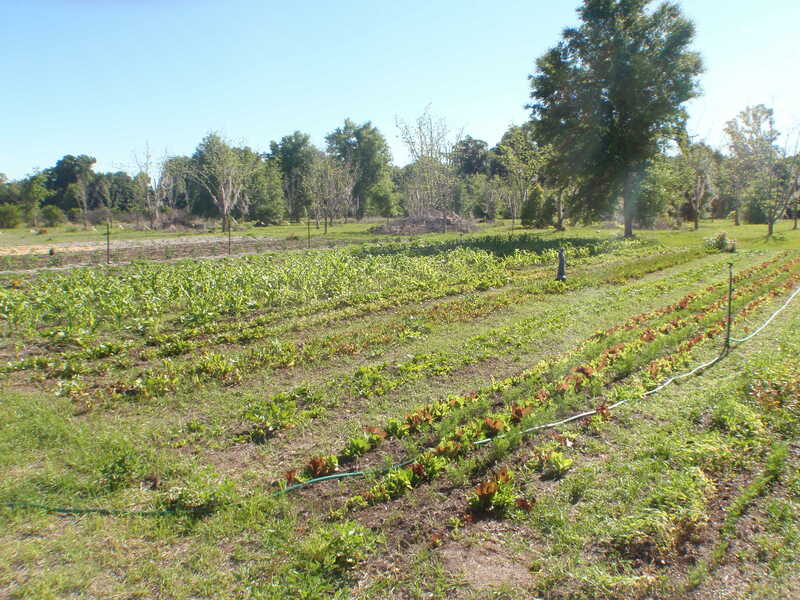 Veggie plot amongst acres of pecans, chickens, and wild flowers. 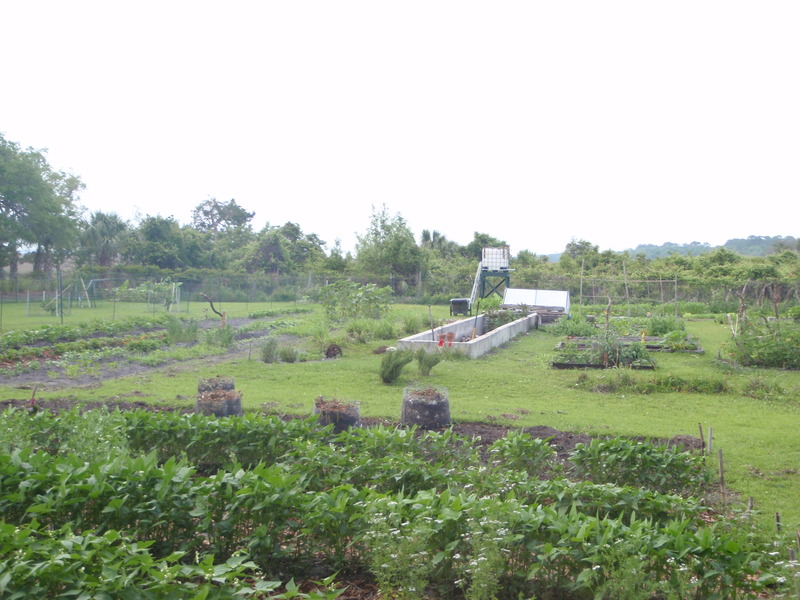 Maggie’s Herb Farm is owned and cheerfully operated by Dora Baker. She is an incredibly intelligent woman with an obvious affinity for plants. 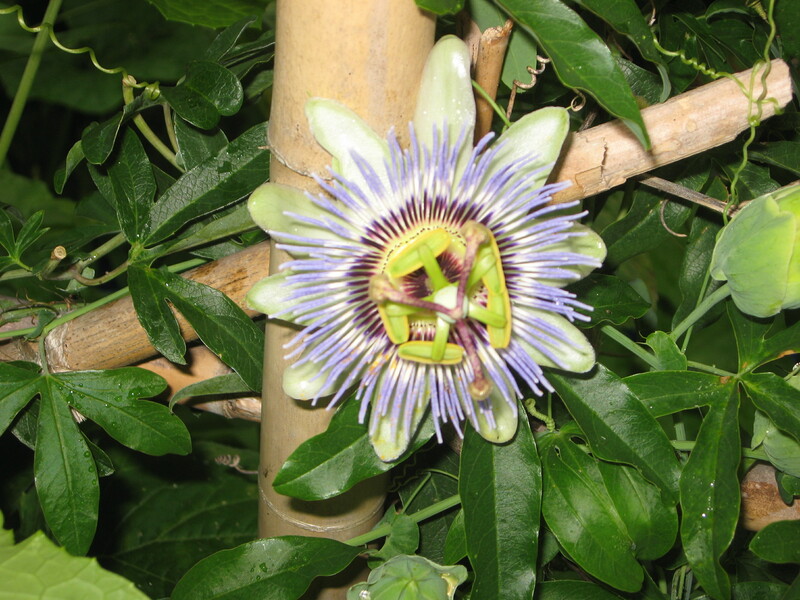 The plants are of the most excellent quality and it is obvious that they are expertly take care of. We have beautified and filled out our herb garden at Greyfield with plants from Maggie’s and could not be more satisfied. Herb classes are offered and workshops occur frequently, check them out! 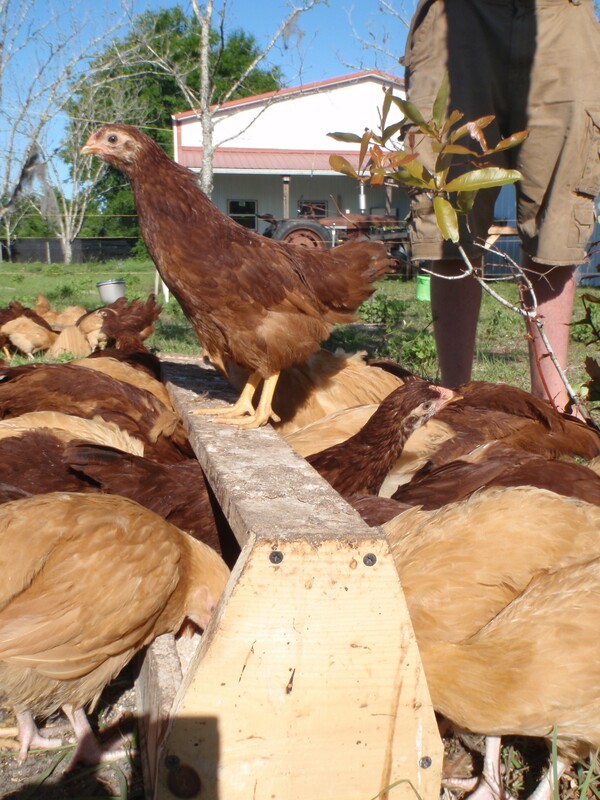 Sapelo Farms is a family owned and operated farm located in Brunswick,GA. They have been producing delicious and beautifully cared for fruits, vegetables, goats, chickens, beef, and bees since 1947. This farm is perfect. The fig trees have a wisdom about them and one blueberry patch is over fifty years old. The mother daughter duo that run the place are inspiring and their dedication and compassion for the property is incredible. They run a CSA and sell to local restaurants. Chef Whitney, myself, and Robbie took a day trip to the farm in hopes of making a local connection to grass fed beef, goats, and seasonal fruits and veggies. We walked away with a half gallon of wildflower honey and nearly a goat! 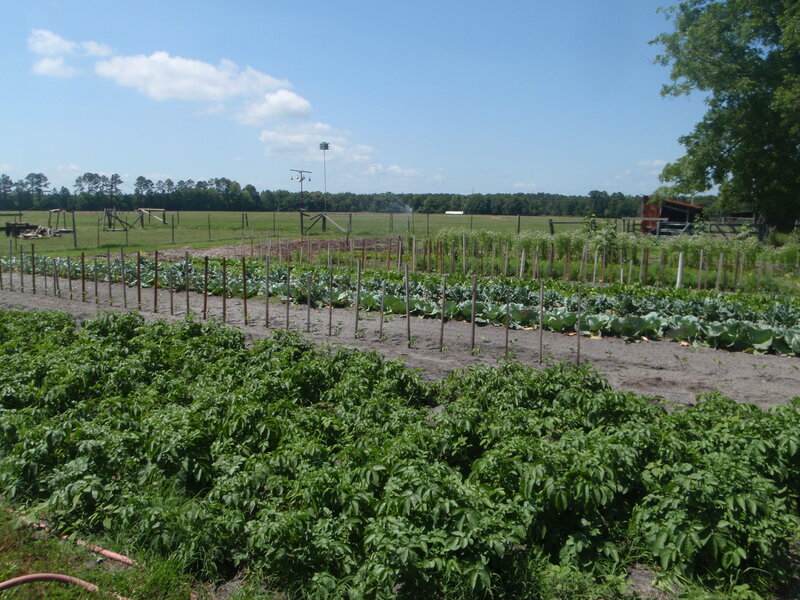 Amazing family run farm in Brunswick, GA. Beautiful people and delicious food! Greyfield Garden is putting properly nourished produce on the plates of our guests and the energy coming from both the kitchen and garden are apparent on the dinner plate. 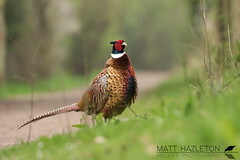 Here are a few pictures of what is coming out of our garden at the moment. 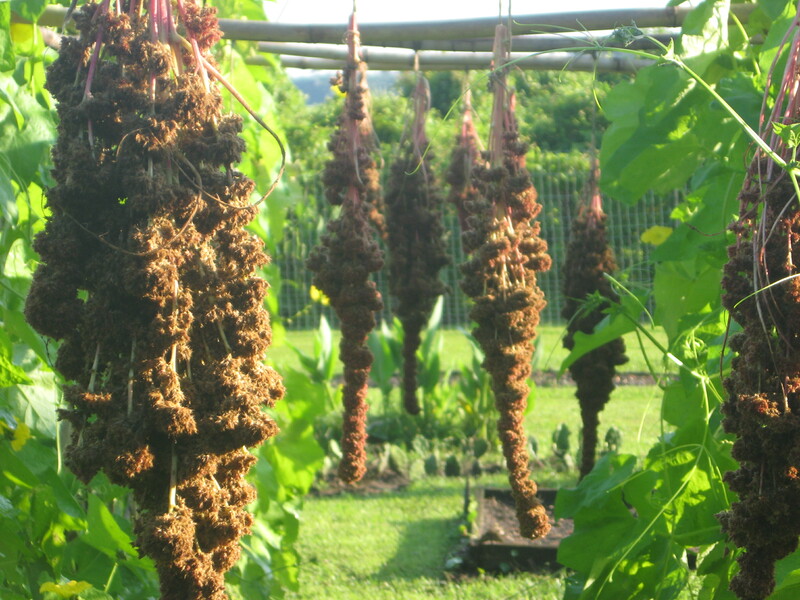 Amaranth being cleaned in the sink with the plants and garden in the background. I have drawn inspiration from each of these places and hope that no matter where you are in the world it is possible for you take a trip to a local farm and enjoy the feelings I have felt visiting these places. The farms I have visited lately have reassured me that the direction we are heading in at Greyfield is on par with other local farms and gardens. The places I have highlighted have many things in common but the one that really stands out to me is the dedication to wholeness that is present in many forms; the unity of a family, biodynamic practices, community involvement, and the knowledge of the land work together like thousands of bees in a hive… truly amazing. Remember, live simply so that others can simply live. Know your food, or at least be better acquainted with it. Enjoy the life that you have and take care of yourself and your family. 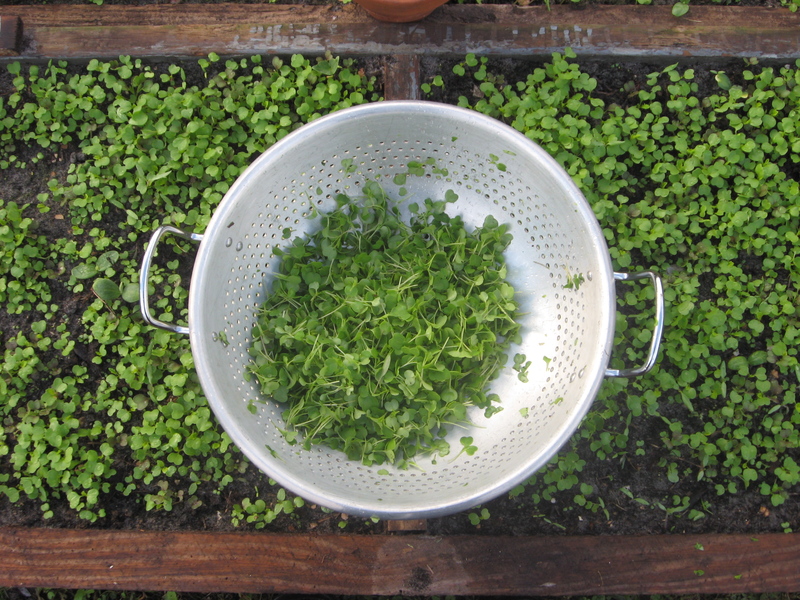 Healthy soil equals happy spring seedlings! Hello everyone, I hope you are well. The pollen has been making everyone cough and sneeze and as I sit in the garden I see it blowing from the trees like dust. 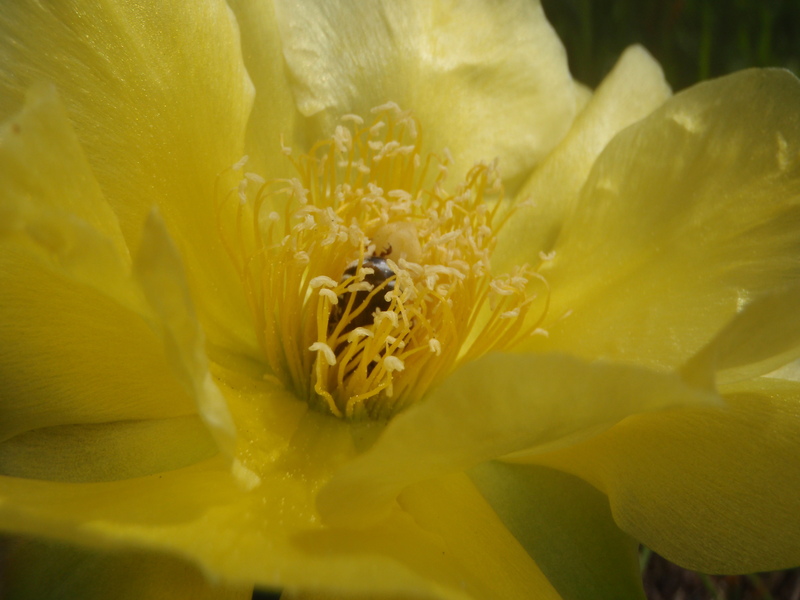 The bees and other insects are active around the garden lately; trees are budding and flowering everywhere within sight. The keeper of our active hive at Greyfield Garden stopped by the other day and shared some interesting information about bees. He talked to us about the South African Hive Beetle and shared tips about handling and keeping bees. The beekeeper came by to check his hive in the garden. 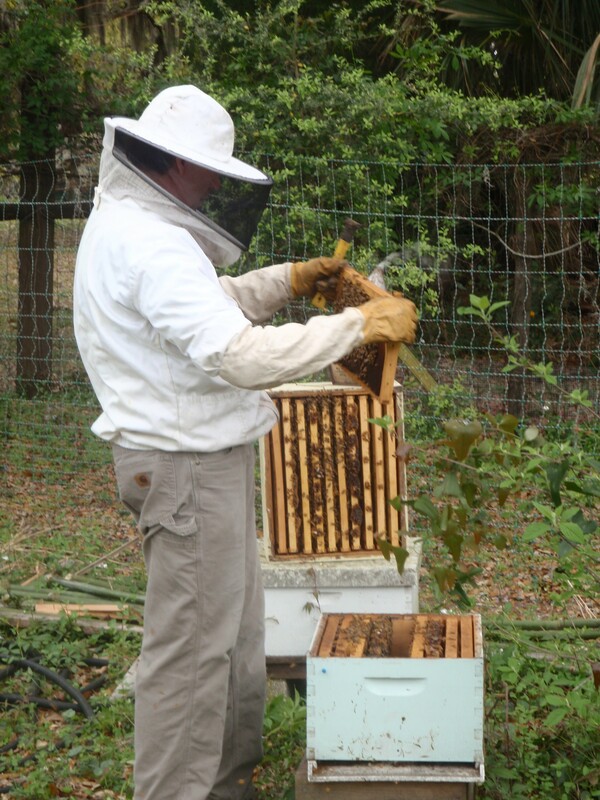 He shared lots of info about bees and maintaining his thousands of hives. 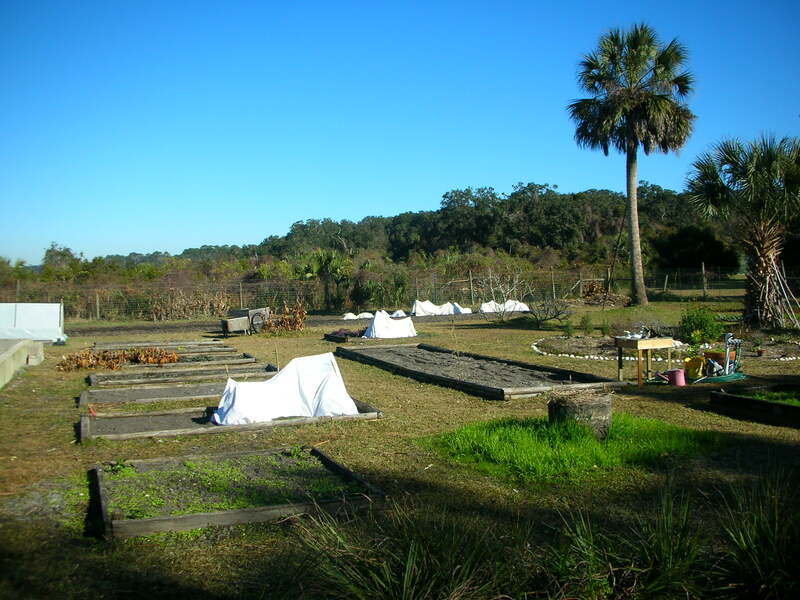 Here on Cumberland Island, the smell and feel of spring is best served early in the morning with a fresh bucket of compost and a hot cup of tea. Unfortunately the sand gnats enjoy the early mornings and otherwise calming sunsets that are usually perfect for relaxing in the garden just as I do. 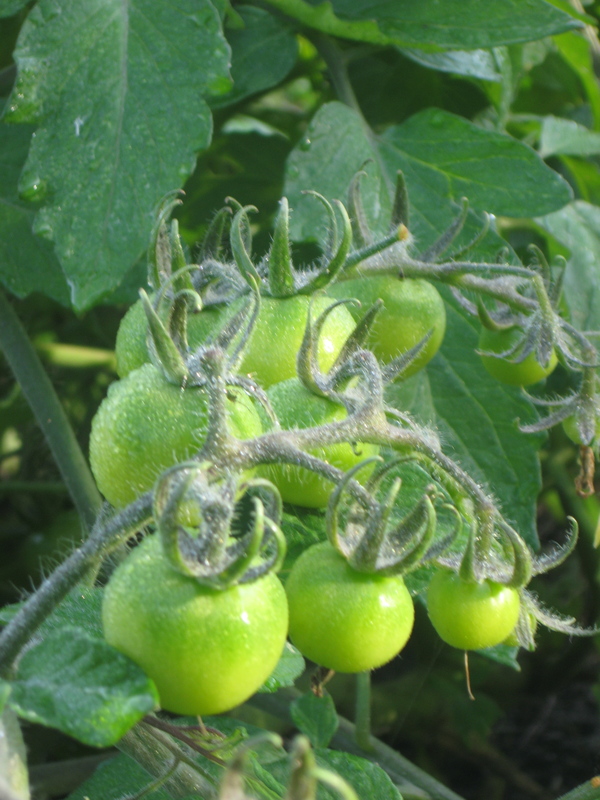 Using funky shaped limbs as tomato trellising works nicely and is also aesthetically pleasing. Volunteers are popping up everywhere! 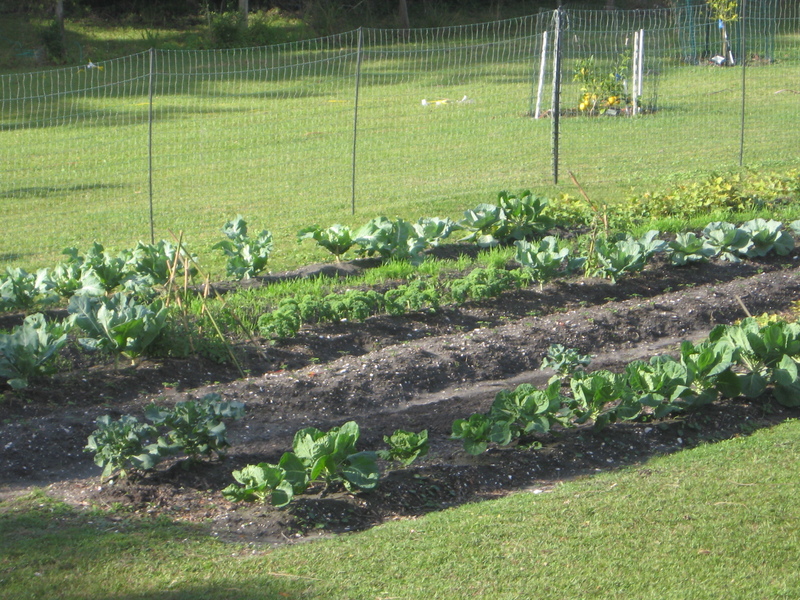 It is really amazing what one-year of agricultural activity on a one acre piece of land can produce and create. The compost that we have been feeding our beds with since last summer has selected this spring’s garden prospects and they are abundant. Hunter, our new WWOOFer, and I spent an evening in the garden transplanting basil from several highly populated areas to areas that needed some filling in. They are doing well several days later and we are happy that they are happy in their new spot in the garden. Speaking of compost! I wanted to give an update on our compost. Since the beginning of this calendar year we have turned approximately 1300 pounds of kitchen scraps into food for our soil! The new chipper, our to-go coffee cups (made from vegetable oils,compostable), egg cartons, and newspaper... otherwise known as our carbon source for composting! We cannot forget about what else that compost has done for us. 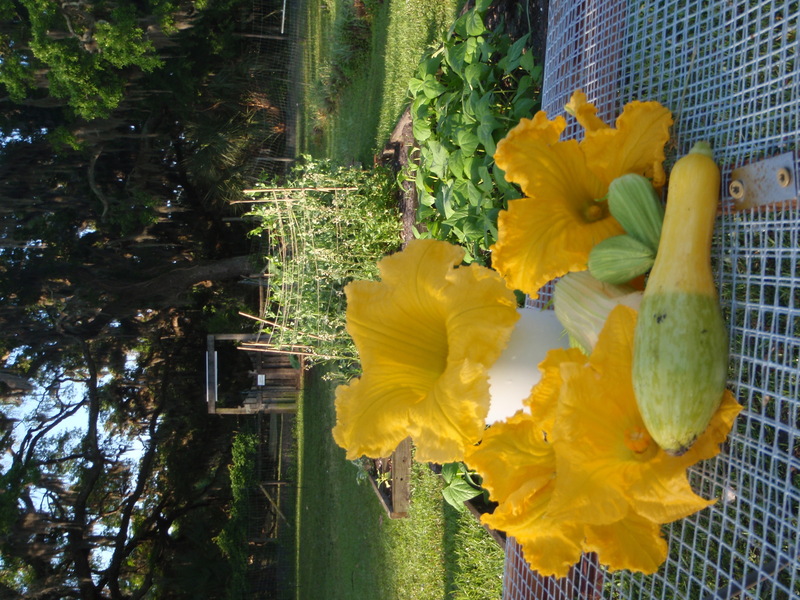 I have been keeping a loose total of veggies going from garden to kitchen…. 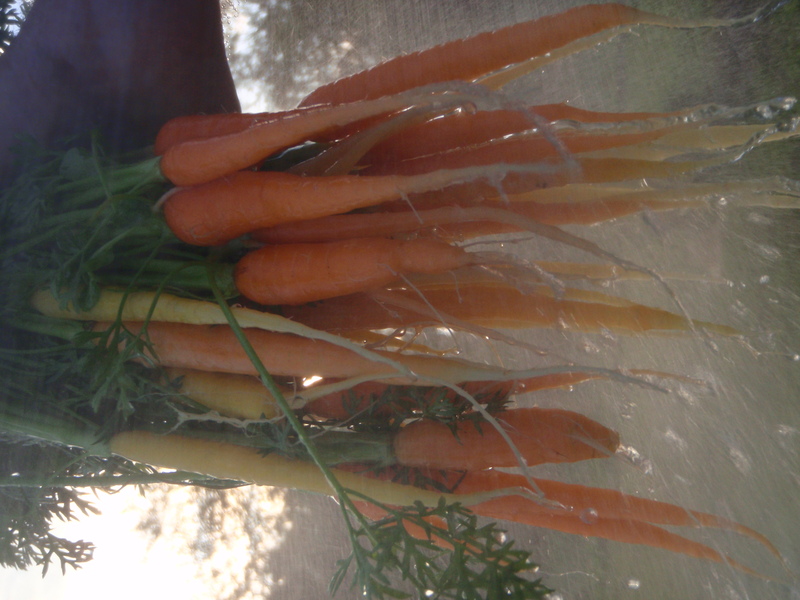 Here is a bundle of our rainbow mix carrots being sprayed off early in the morning! We have also harvested 35-40 pounds of sweet potatoes and an assortment of root vegetables. 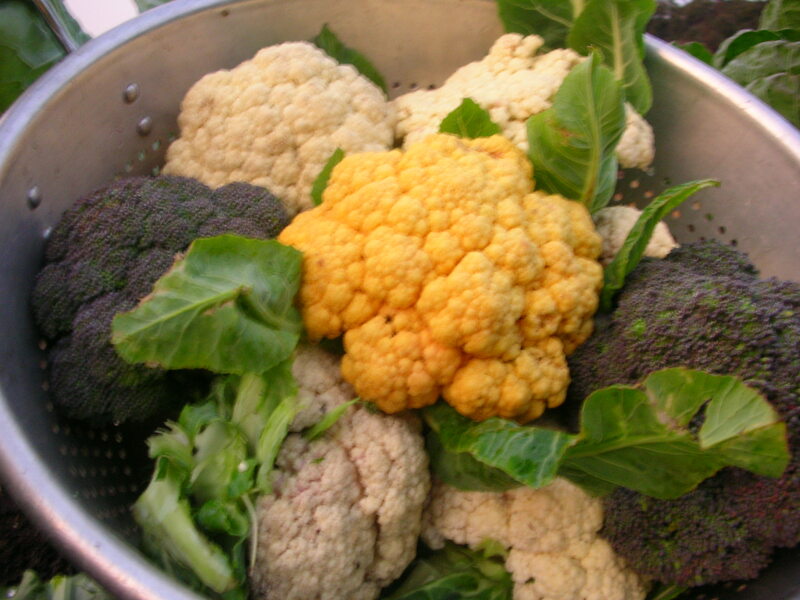 Plenty of broccoli and cauliflower heads made it from garden rows to dinner plates along with a few hearty rounds of Brussels sprouts. We have been working with the kitchen toward doing more of a seasonal menu. On the garden side I am working on ironing out a crop plan and rotation including a cover cropping rotation along with composting in place. 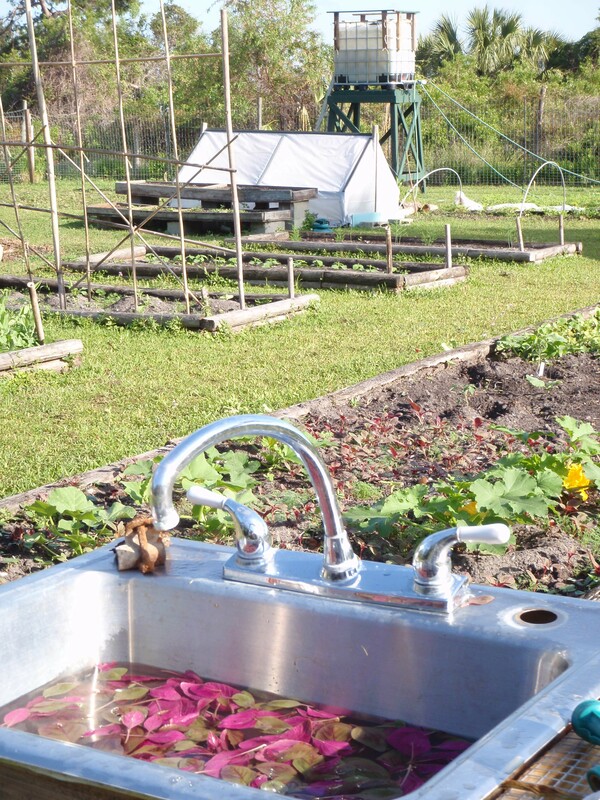 We are looking forward to a productive late spring and summer at Greyfield Garden so stay tuned! see more photos check out our page on Facebook! Take it easy (on the planet). 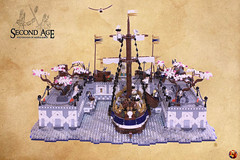 Storms have blown through the country, all forms of precipitation have fallen, knowledge has been gained and ideas have sprouted like the restless spring seedlings since the last post. Myself and Chef Alberto Gonzalez attended the annual Georgia Organics conference February 20th and 21st on behalf of Greyfield Inn. I attended last year’s event and walked away feeling more empowered and enthusiastic about my life and my career than ever before. This year’s event was enlightening and inspiring for Al and myself as well as every other attendee, vendor, volunteer, educator taking part in the conference. The event was held in Athens,GA, a city with a very rich food culture as well as a welcoming atmosphere of a community that is keyed in on the local food movement. Al and I joined our new chef Whitney Otawka for an elegantly local meal at 5 and 10, her former place of employment. The food was excellent and the conversation jovial, what else can you ask for? We look forward to growing with Whitney in the kitchen and the garden. Good things are here and even better things are happening at Greyfield Inn and in Greyfield Garden. Two days were spent digging a mote, filling it with wire cloth, securing the cloth with staples, and zipping up all the loose spots. The end result of hours hoeing with blisters and numerous backstretches gave the garden a well-constructed armadillo-proof fence! I have been busy getting a few projects folded up and put together while the garden has been carefully expressing apprehensive feelings toward the tardiness of spring. The seedlings are itching to leave their apartment buildings and set some roots in the warm and lively sandy soils of Grefyield Garden. I had the pleasure of sharing two days of flower planting and compost sifting/hauling with a few friends this weekend. Ryan and Amanda came down from Savannah to spend some time with their hands in the earth. We took the first few steps toward fashioning a funnel and freshening up an herb garden. More to come about the funnel… it’s a part of our most recent structure in the garden, a water tower for collecting rainwater and irrigating a portion of our vegetable and flower beds. I am working hard at making our spring garden healthy and productive to provide our guests with delicious veggies and a pleasant place to meander and gather inspiration. 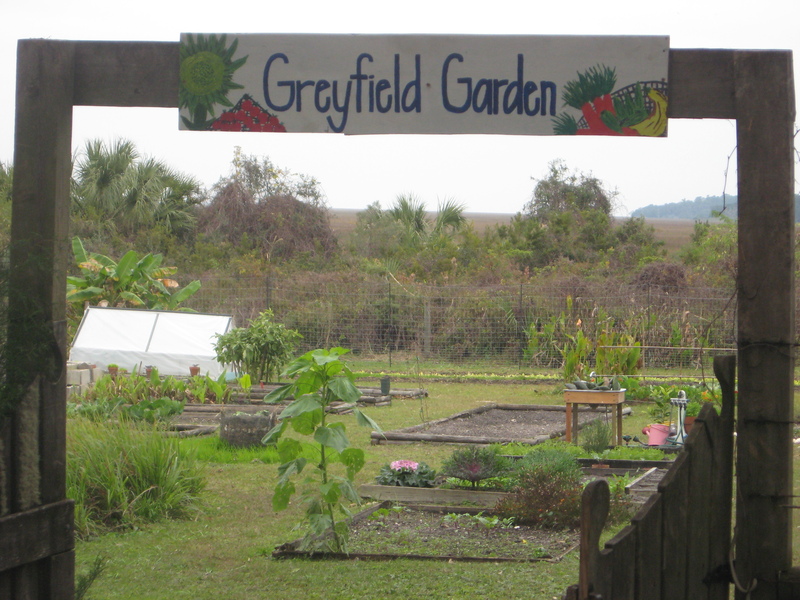 Greyfield Garden has started a composting initiative of sorts on Cumberland Island. We are giving island residents and extended stay vacationers 5 gallon buckets with information about composting and asking them to collect kitchen scraps during their stay in hopes of encouraging new earth friendly habits. 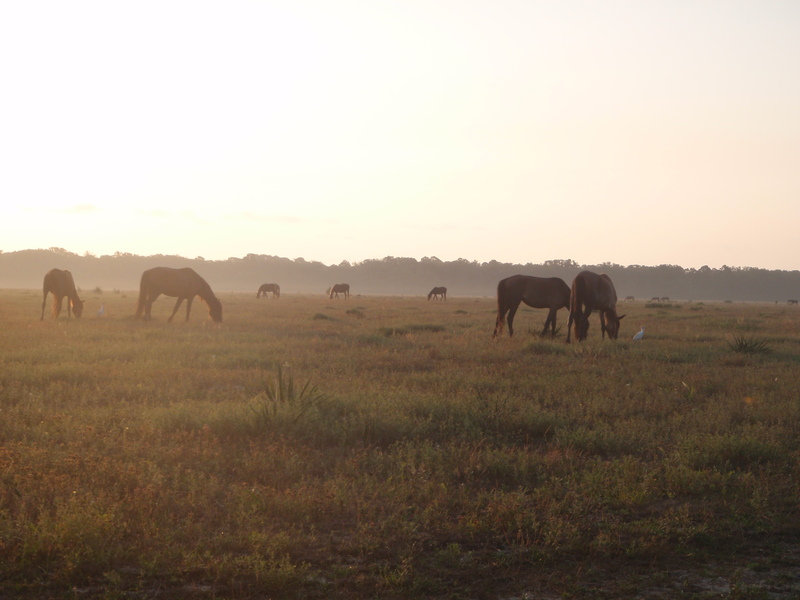 Cumberland Island has a rich natural history of food and sustainability and we intend on preserving that culture and soil that it starts with. Chef Whitney, myself, and the entire staff at Greyfield are waiting arms open for spring to walk in the door, we look forward to an enjoyable growing season! Enjoy some photos of the “garden haps”. Take it easy (on the planet), happy planting! 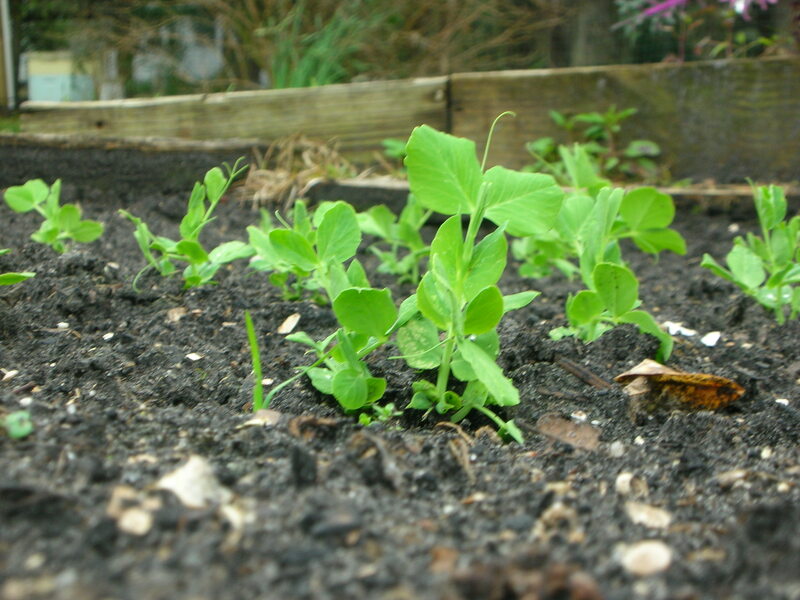 Sugar snap peas busting trough the still cool soil. 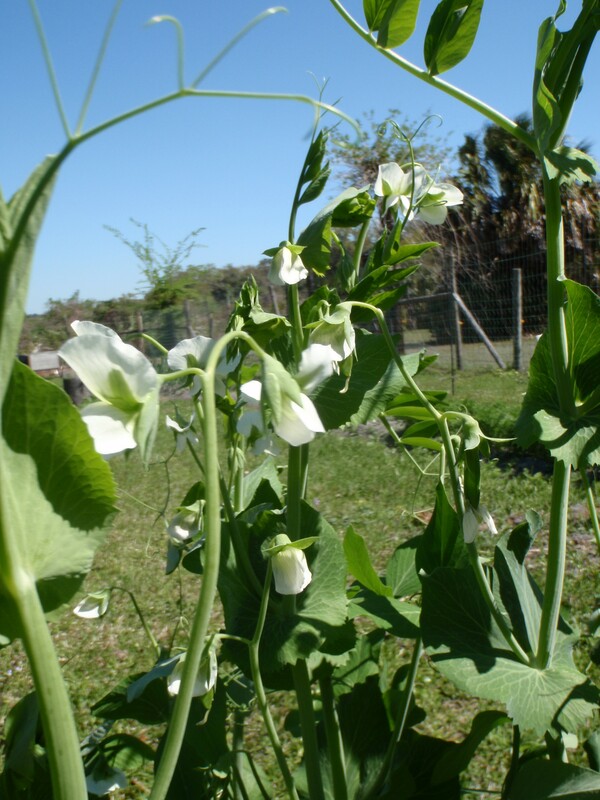 Leguminous cover crops collect nitrogen from the air and store it in their roots. Chinese cabbage, Red Russian kale, green wave mustard , and collards. 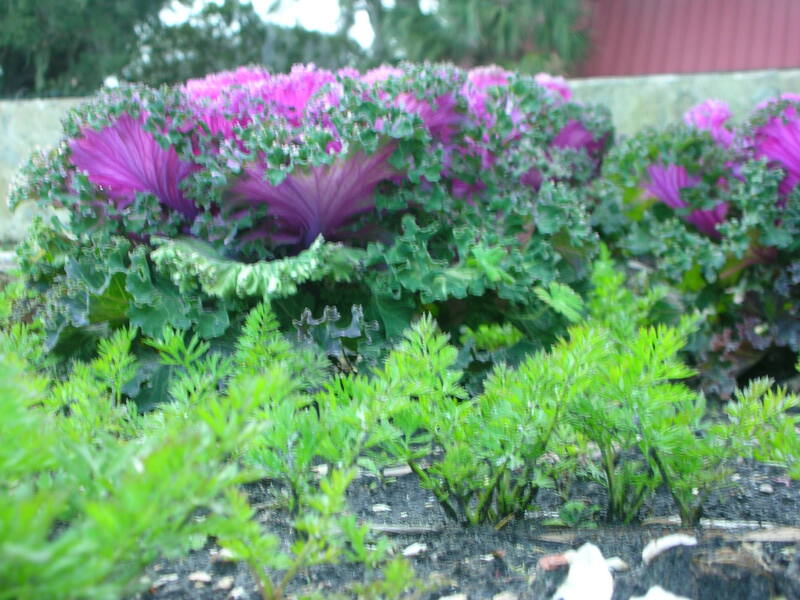 Young carrots and ornamental kale. A look under the row covers. Seedlings under the cold frame, almost time for spring transplanting. The tower part of our new rain catcher with some recently shaped and composted rows ready for planting. True companions. Strawberries and onions work well together. Snapshot of the garden on March 1st, this same shot in May will be totally full of color! This post will catch everyone up with what is happening at Greyfield Garden, well at least the stuff we are willing to disclose! 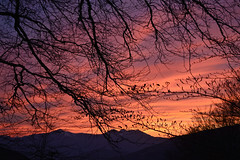 It is the last week of a pretty chilly January and personally I am very much looking forward to some warmer weather. 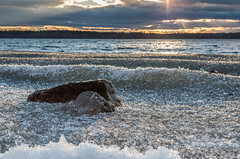 The whole country went through a week and half or so of some frigid weather early in the month and crops were affected. Those of us that are growing fruits and veggies this time of year had to do some cuddling and cozying. In our garden we had some pretty eager tomatoes and basil that volunteered in a number of places and they were the first to fall when Jack Frost came to town. 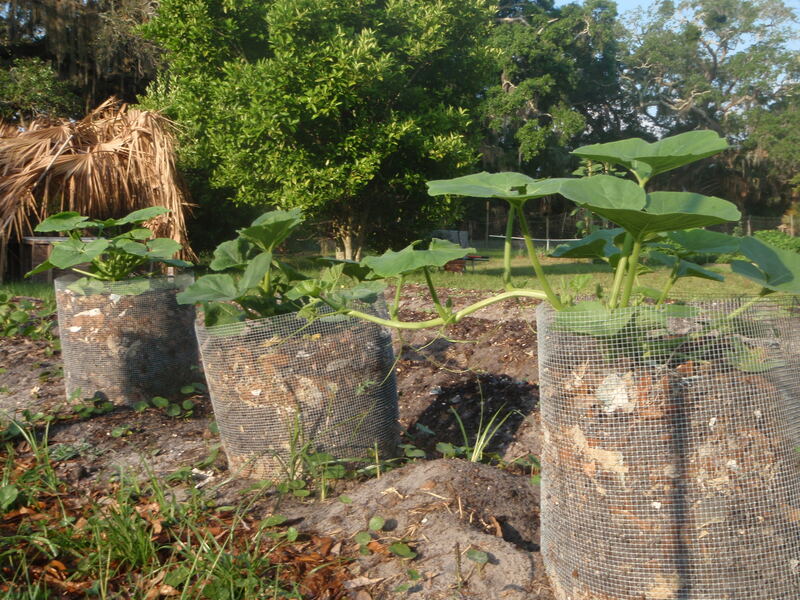 A”volunteer” is a term used for seeds that hang around in the compost and are spread in the beds or in the rows and decide to set some roots in a new location. Perhaps they wanted a change of scenery or maybe they were just sleeping in their compost comforter and ended up peaking their heads out when we ruffled the blankets. Our Casper eggplant had been holding strong late in the season and, like the tomatoes, thought that the low temperatures were a good reason to tuck in to the compost comforter for a couple months. Thankfully the eggplant, tomatoes, basil, and a few patches of nasturtiums were the only folks affected by the low temps. The days of our kale, cabbage, collards, brussels, cauliflower, broccoli, and salad mixes being under blankets ended around the middle of the month. I even spent several nights heating bricks in the oven and placing them under the blankets to sleep with the veggies during the coldest nights! 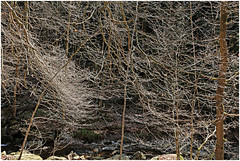 Jack Frost left around the middle of the month and we had about a week of mid 60’s- low 70’s. I spent most of the cold spell inside planning for Spring, placing seed orders, and drawing garden maps. I received the seeds I ordered just in time for the warm weather! I spent several days planting salad mixes, radishes, kohlrabi, and carrots and harvesting sweet potatoes. Farmers and gardeners need to know when to plant and harvest, they need to be familiar with their soil, they need to be well read on pests and diseases, but even the most well studied farmer is at the mercy of Mother Nature. Two days after I shed the layers of long sleeves and stocking cap and started planting we got three or four days of hard rain, lots of water in a short period. We have a very low spot in the NW corner of our garden and after one or two hard rains a couple months ago I realized it was going to be a lasting issue, so I raised all the beds in the western section. The raised beds helped a great deal but it did not solve the problem completely, we are still dealing with standing water following a few hours of hard rain. I spent a couple rainy days bending conduit for row covers. 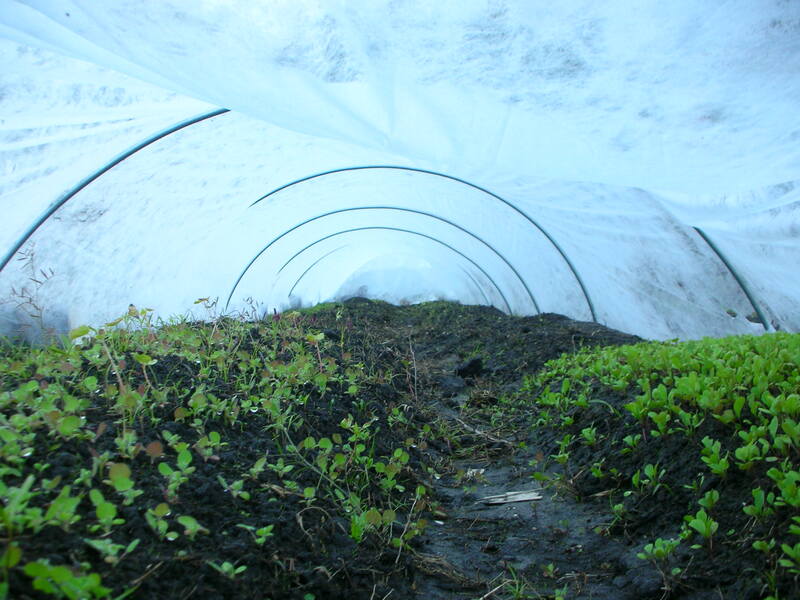 The row covers will serve as a warm tunnel for some spring seed starting. 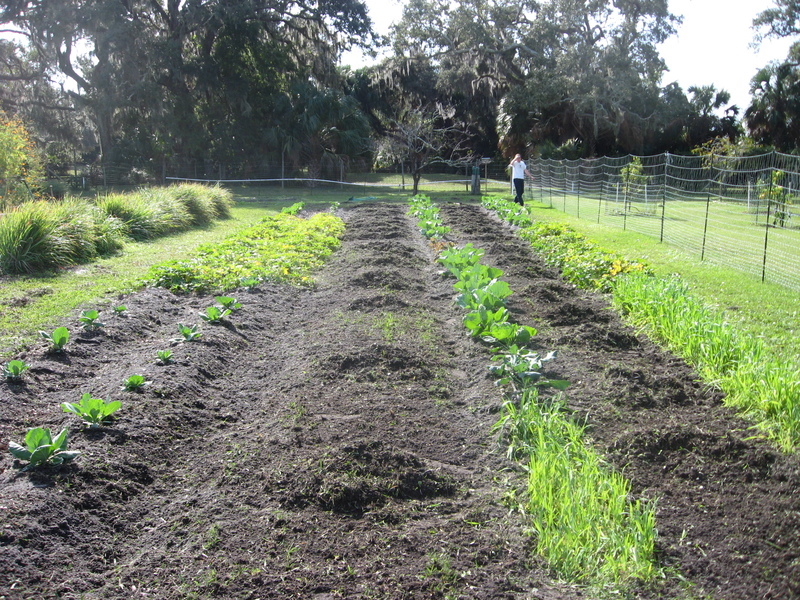 I hope to start enough seeds under the row covers to transplant a good majority of the garden by the end of February. Those of you that are farming and gardening out there, good luck with spring prepping and we wish you the best in the upcoming season. Those of you that are not currently growing, I hope it’s because it’s too cold where you are and not because you think that you don’t have enough time or space to do so. Grow what you can, it tastes better and you feel better when you eat it! Take it easy (on the planet) and eat well. 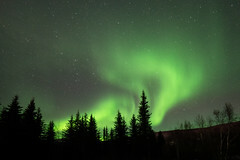 10 nights below freezing. We made sure our babies were as warm as they could be. These are the guys that took a hit w/ the cold weather. We saved them and fried them for a delicious snack! Casper eggplant, middle of Decemeber. 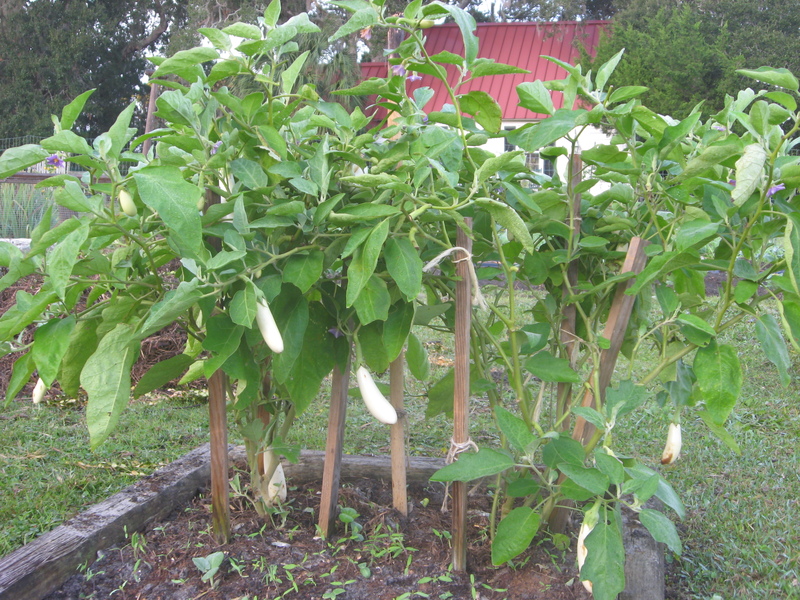 These guys and our volunteer tomatoes were among the cold weather casualties. After the cold we received several days of hard rain. The garden is a little stressed. I am doing my best to keep her happy and healthy. Adding new rows in the western section of the garden. West beds are finished. 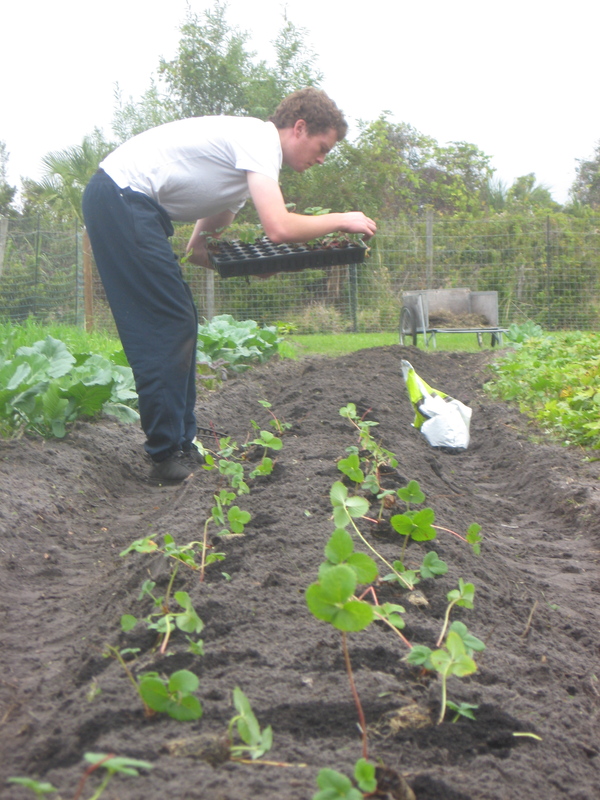 Robbie plants young strawberries in one of the new rows. West beds are looking good! 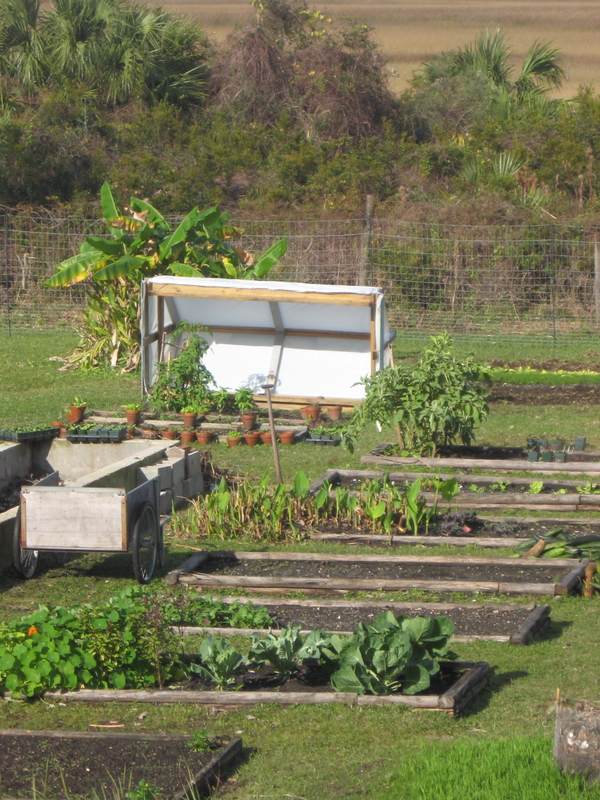 (Top to bottom) Bananas, cold frame, beds, hand cart, beds. Beginning of our worm bin. The worms survived the cold weather and have grown considerably since we dropped them in to their new home. Thanks for the idea Paige. 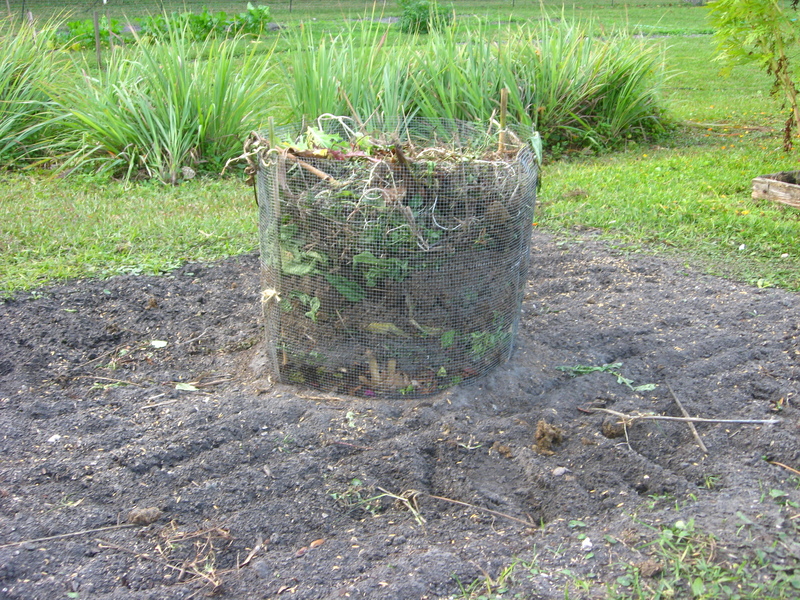 Composting in place. I am going to do this in beds when they are not under vegetable production. Compost in the middle with a cover crop surrounding the pile. This will really help get the beds ready for the next rotation! Composting in place well on its way. Cheddar cauliflower surrounded by broccoli and snow crown cauliflower. Micro greens factory. 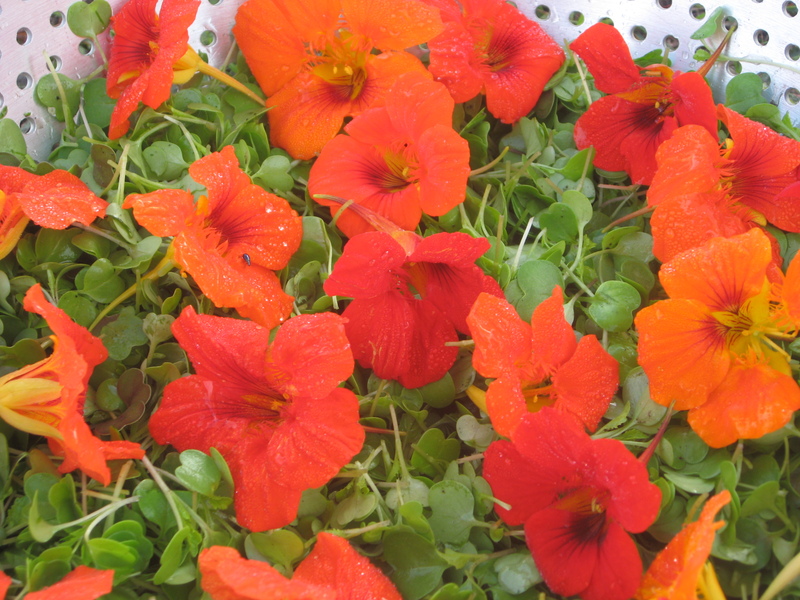 Our chefs love using these as a garnish and when they get past the "micro" stage they use them for young leaf salads, delicious! Hello everyone, the following information includes my thoughts, words of truth, garden facts, occasional jokes, and hopefully some insight to what it is like working closely with Mother Nature. 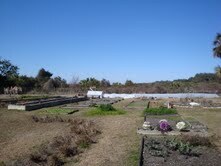 My name is Andy Schwartz and I am the gardener at the lovely Greyfield Inn on Cumberland Island. 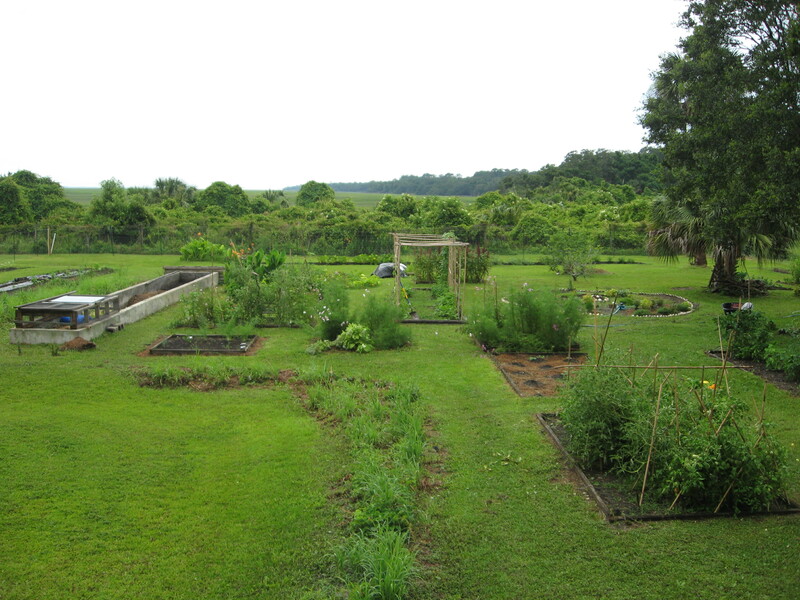 The garden at Greyfield is roughly one acre in size and approximately half of that is under vegetable and fruit production at the moment. Greyfield has had an interest in things sustainable and environmentally friendly for decades. The mentioning of growing healthy soil and healthy food came as no surprise when several forward thinking heads came together with thoughts of rejuvenating the Ferguson family garden on Greyfield grounds. The result of those thoughts and the decision to move forward with a more sustainable and seasonal menu at Greyfield led to many positive happenings one of which was the decision to hire me as full time gardener. Items like fresh fish, shrimp, oysters, and scallops, local breads, cheeses, fresh Florida citrus, rice and various traditional grains have been on the menu for years. The addition of a productive fruit and vegetable garden paired with a good recycling and composting program only made sense. I must give my thanks to Daron “Farmer D” Joffe, Marla Henderson, Mary Jo Ferguson, and Oliver “Mitty” Ferguson for giving me the opportunity to steward the lovely piece of land that I do. 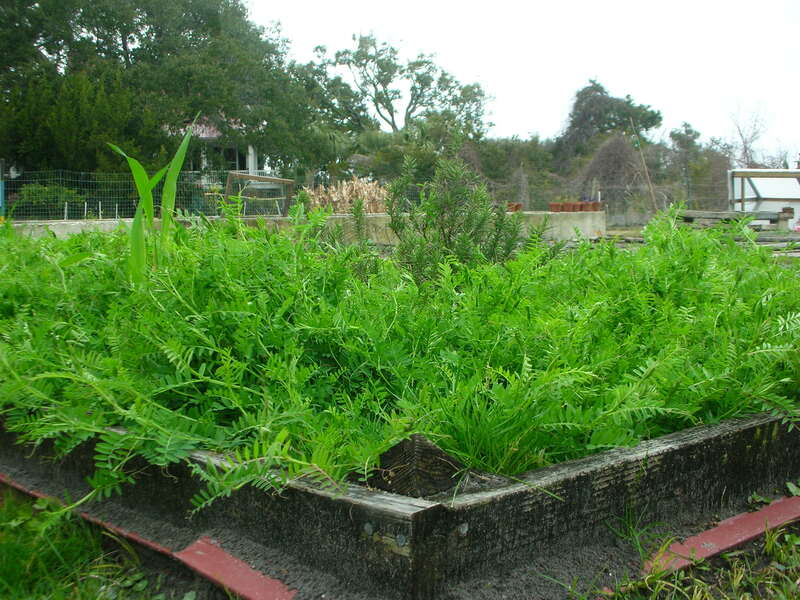 Our goal is to grow as much of the most healthy and nutritious food that we can to feed our guests at Greyfield Inn. We offer guests a unique opportunity by doing daily tours of the garden and assisting in developing a relationship with the food they will be consuming later that evening. 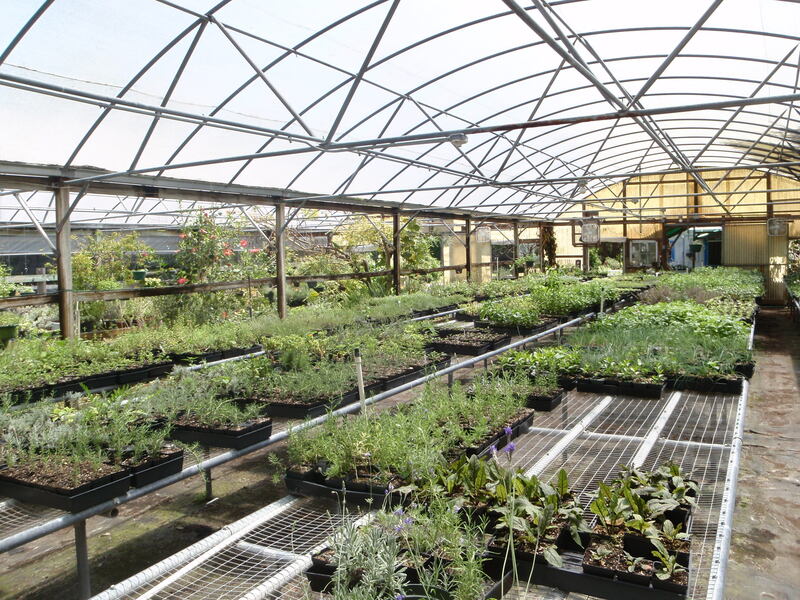 We are excited to share our philosophies on growing sustainable, organic, and natural foods in a healthy environment. Our country is changing the way it thinks about food and the way it perceives what is healthy and what is not. Nationwide plenty of folks are beginning to realize the importance of being able to provide fresh fruits and vegetables for themselves and their families. Our aim is to enable those that may have never seen a brussels sprout growing to see it growing and flourishing in a row of its brothers and sisters, learn how to harvest it, and have the chance to eat it that evening on their dinner plate with local fish caught that day and Carolina Gold rice from a nearby rice farmer. The vegetables and fruits know exactly what to do; we do our part to provide the most nutrient rich soil that we can and the rest is up to Mother Nature. We do not use any chemical pesticides or fertilizers. We compost. We look to the island for soil amendments. Horse manure, oyster shell, fish emulsion, various mulches, leaf mold, and sea- weed are a few of our not so secret ingredients. 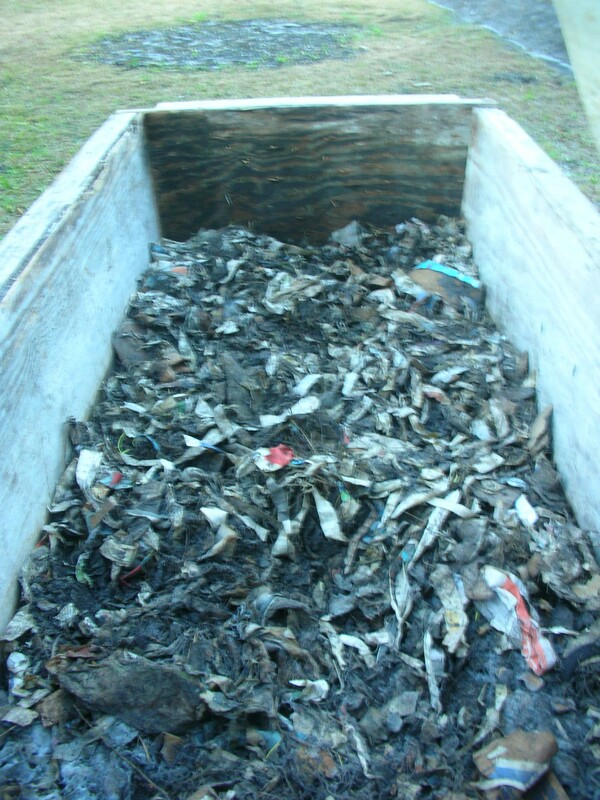 Our composting operation is fueled by roughly 12-15 pounds of kitchen scraps on a daily basis. 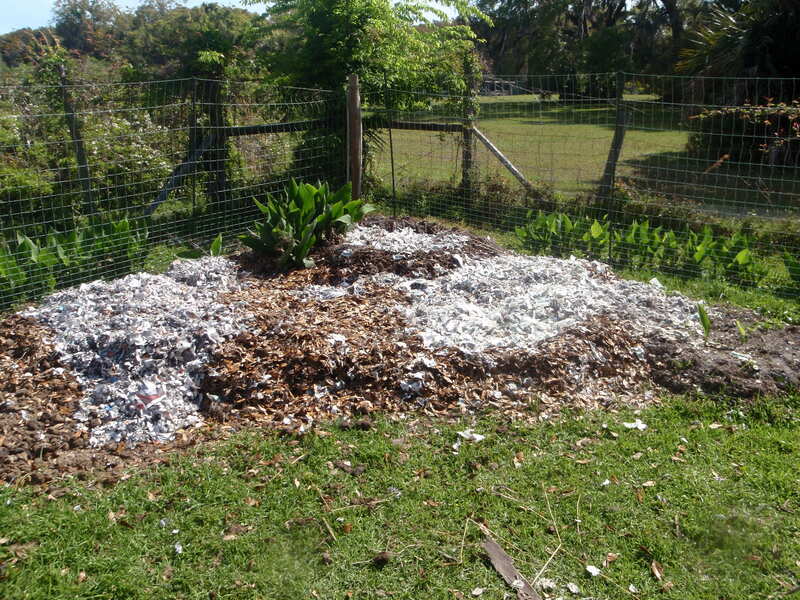 Since my first day on Cumberland we have turned approximately 1 and a half tons (3195lbs) of kitchen scraps into nutrient rich compost for our garden beds! 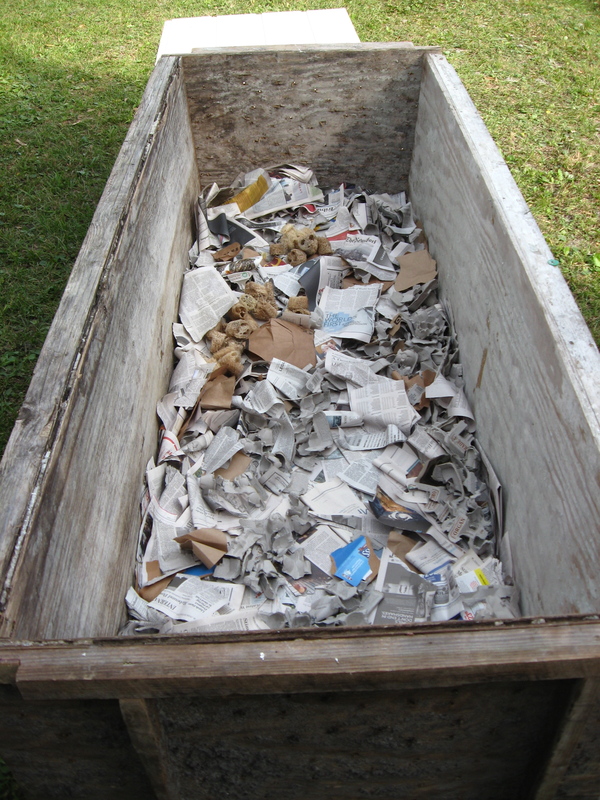 We are now shredding all of our newspaper, egg cartons, and some cardboard for our worms to process into more fertile soil to be added to our beds. We have been using compostable coffee cups that we mulch and add to our compost piles for several months now and will continue to use indefinitely. We believe that our efforts to be responsible and have a low impact on our surroundings will help to keep Cumberland as wild and magical as it is today for many years to come. 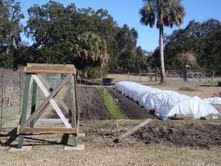 We have been hard at work developing the garden from the ground up and hope to have a very productive spring this year. We have had one WWOOFer (World Wide Opportunities on Organic Farms) do an apprenticeship with us and he was a witty lad from London that loved Willie Nelson, compost, and armadillos. 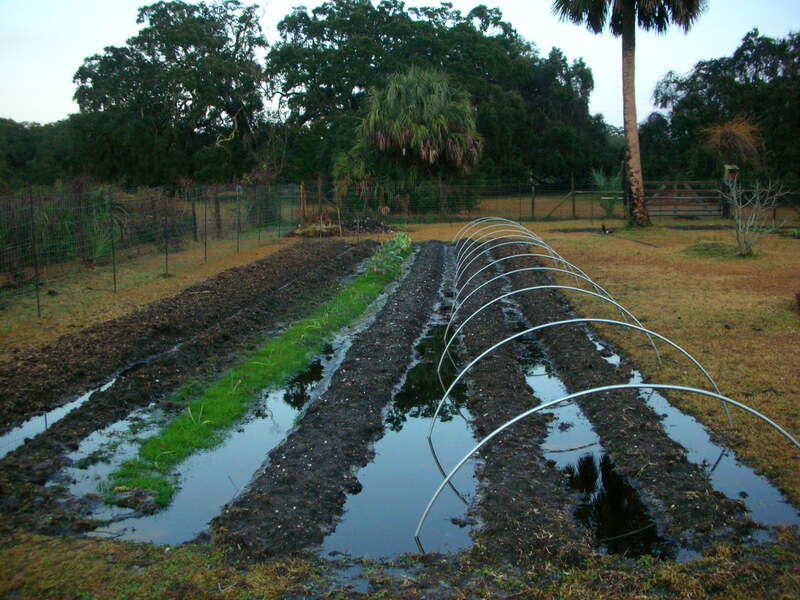 We are listed on the WWOOF website as accepting one apprentice at a time and are working with the University of Florida to develop an internship program through their agriculture department. Through these outlets we hope to draw in individuals that are interested in growing vegetables, being surrounded by raw nature, and working shin deep in compost and horse manure, not necessarily in that order. The unique situation that is Greyfield Inn and the island surrounding it draws thousands of visitors every year. The goal of Greyfield garden is to educate as many people as possible starting with our guests and extending to the mentioned apprenticeships and internships. 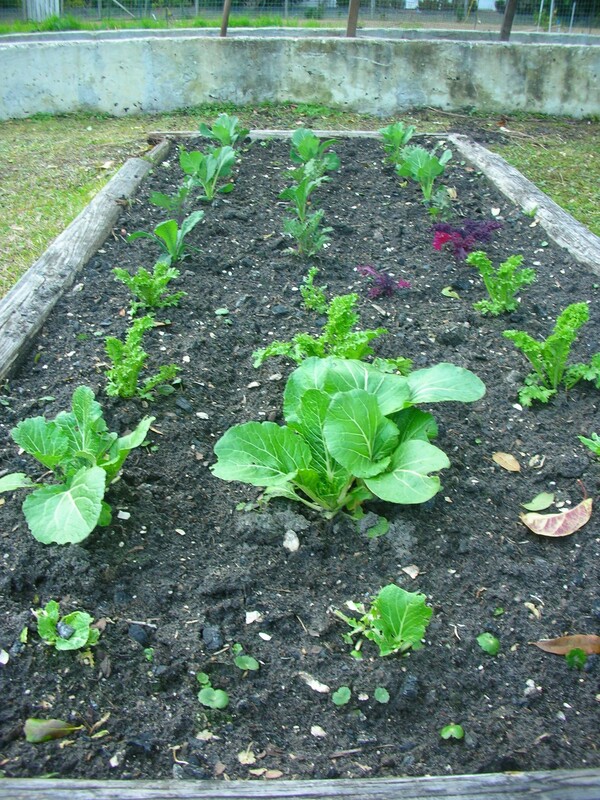 We also want to feed our guests all the yummy veggies they can eat during their visit! I will be posting thoughts and any information that we feel needs to be shared as well as plenty of photos and narratives. Keep your heart close to the ground so that your ear is close too and listen closely… checking our blog will work just as well. Until next time, take it easy (on the planet) and live well. 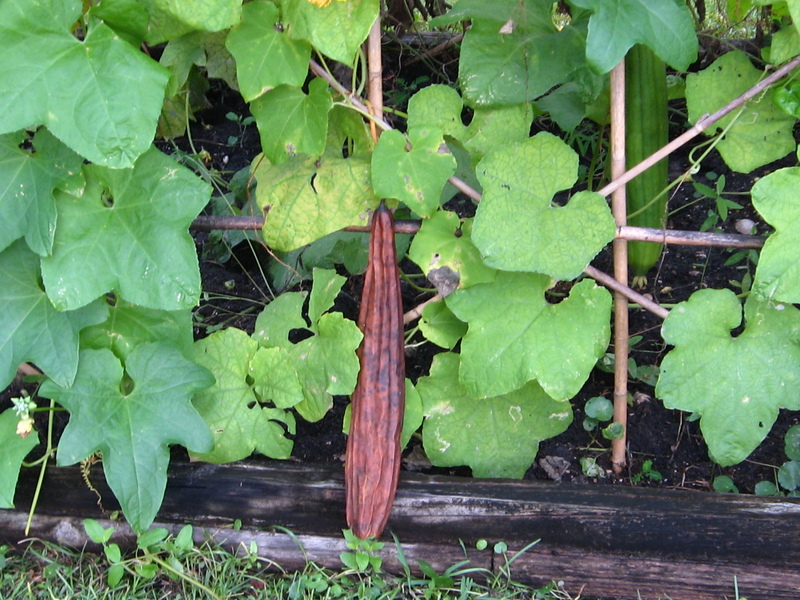 Mature luffa on the vine, ready to be harvested and used for exfoliation. Sunflower harvest. soon to be hung for our winged friends stopping by the garden. Hanging elephant head amaranth. These really added color and a new dimension to the luffa tunnel. West beds. 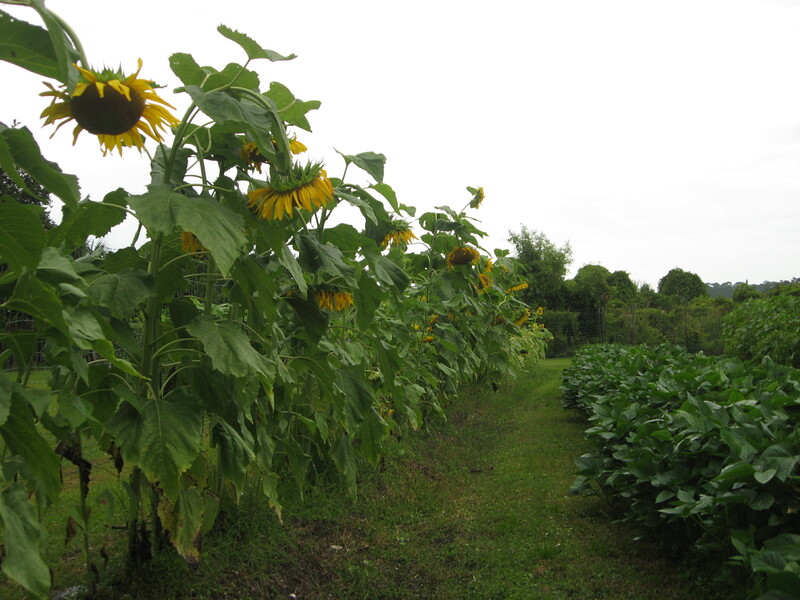 Sunflowers and a cover crop row of cow peas. 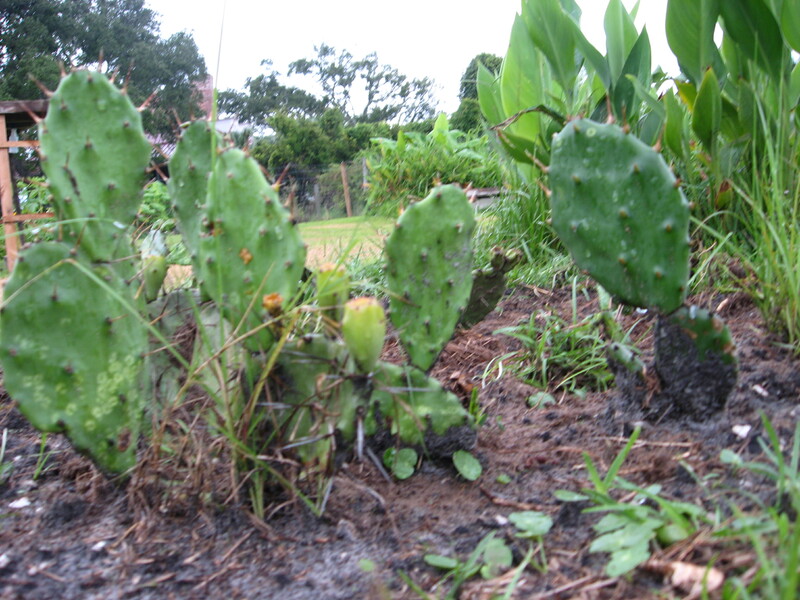 Prickly pear cactus. I transplanted these from a nearby field to start a sort of interpretive bed in the garden. This is most of what you see upon entering the gate, there are 6 raised rows to the left of the tabby structure. Early morning in the garden.